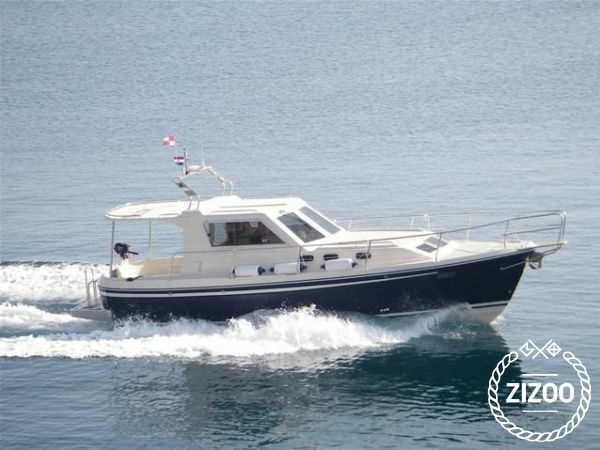 The Sas-Vektor Adria 1002 was built in 2011 and is a fantastic motor boat for your next sailing holiday in Sukosan. This boat is located in D-Marin Marina Dalmacija (Sukošan), and is ideal for a family holiday or a party boating adventure with friends. This motor boat is a very stylish and slender option for a relaxing boat holiday sailing through the crystal waters in the backdrop of your dream holiday of Croatia. The Sas-Vektor Adria 1002 is a comfortable model that is stylish and perfect for your dream sailing holiday. Enjoy the sea and book now! Wir waren zufrieden mit dem ausgewählten Motorboot. Besonders schön war dass uns wirklich sehr viele verschiedene Angebote zugeschickt wurden bei der Planung. Die SAS Vektor Adria war dann auch genau das war wir uns vorgestellt hatten. Requested 87 times this week!